iZettle is a convenient payment processing option for businesses that need to accept card payments anywhere. The cost of using iZettle is quite low, there are no monthly contracts and users only have to pay a transaction fee on each sale. Company offers solid processing service, quality hardware and attractive pricing model. 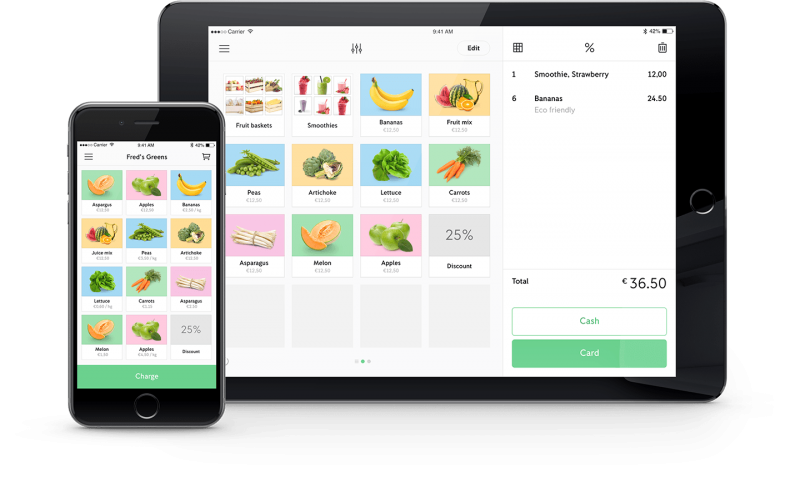 iZettle is a leading European card payment processing service that combines a mobile app and a portable card reader to allow individuals or businesses accept card payments on the go. It also provides backend services that allows all users to build their virtual store, view transaction history and analyze their sales. The cost of using iZettle is quite low, as the startup costs are minimal. There are no monthly contracts and users only have to pay only a transaction fee on each sale. The iZettle app can be downloaded for free, and it’s compatible with all popular iOS and Android smartphones and tablets. Businesses simply need to connect the card payment terminal through Bluetooth technology and require either mobile data or a WIFI connection to begin process payments anywhere. 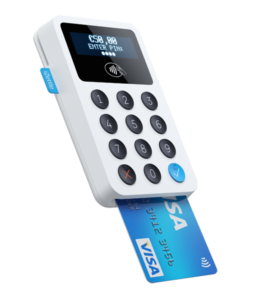 In this iZettle review we have compiled the advantages, disadvantages, specifications and the how to get started with the service. 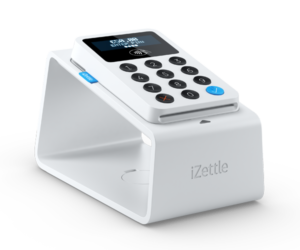 iZettle has recently launched an improved card reader that allows merchants to accept both card and contactless payments. Setting up iZettle is fast and easy. Once you have the card reader, you can have the entire iZettle system ready to accept payments in less than an hour. Purchase the card reader from iZettle website. Delivery of the device takes approximately 3-5 business days. Download the iZettle app from either the Google Play or App Store. Create your iZettle account. You can do it within few minutes, simply visit the iZettle website and sign up with your personal information. Connect your bank account to your iZettle account. iZettle ensures that all your information is protected and that the signup process is completely secure. Connect the iZettle reader to the app via the Bluetooth. Once you have the reader connected, the app working and your bank account synced, you are ready to process your first card payment. Key Takeaway: Purchasing, downloading and setting up iZettle is a fairly easy process that can be done by anybody in a matter of days. Accepting payments using iZettle is fast and easy. When you have your customer ready to pay, simply punch in the complete sale amount in the iZettle app. 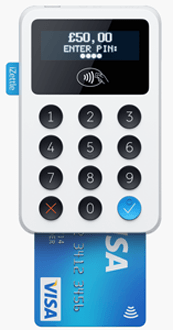 Next, either tap, swipe or insert card into the Chip and PIN reader as you would with any traditional payment terminal. The customer needs then to enter their PIN number. The app also accepts payments via Apple Pay, PayPal Here and Worldpay Zinc, so users have a full variety of non-traditional payment methods. iZettle provides a response about the payment confirmation within seconds, so there is no waiting time for making your sales. After receiving confirmation that the purchase is approved, you can either print out a receipt (if you are connected to a printer) or directly send them an e-receipt by SMS or via email. iZettle supports a variety of auxiliary hardware to help business owners. Receipt printers, cash drawers and barcode scanners can be connected to the card reader to offer additional support in payment organization. There is a settlement delay of three days between accepting the payment and when users will receive the money. This is to protect businesses from fraudulent purchases and is quite standard is the card payment processing world. Key Takeaway: Accepting payments with iZettle is very simple. The wide range of supported credit cards and now additional payment methods means that users will not lose customers due to a lack of payment options. 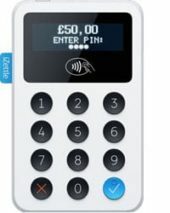 As mentioned earlier, the card reader sells for £59 + VAT retail, but iZettle currently offers it for a discounted price of £29 (price excluding VAT, offer valid until 31.10.2017). The cost of using iZettle depends on the country that the merchant is based in. When signing up for iZettle, users can view the costs of the service for their specific area, which is important as the fees vary quite a bit between nations. iZettle changed recently their pricing in UK. Now merchants pay a flat transaction fee of 1.75%, instead of 1,0 % – 2,75 %, like in most other UE countries. Overall, the cost per transaction is quite similar to their competition. Most companies in the mobile card processing space charge between 1% to 3%, so it is approximately equal. There are no additional setup costs, monthly fees or any other necessary payments for the business owners. Key Takeaway: The cost of iZettle is quite low and offers businesses a good alternative to traditional card payment processing. No setup fees or monthly fees means that businesses only pay when they make a sale, and the transaction fees are in line with the industry standards. The iZettle app for both iOS and Android is extremely easy to use, even for business owners that may not have much technical experience. The layout of the app is very simple, clean and easy to navigate. The menus are clearly displayed and even the most novice business owners can figure out how to use iZettle within minutes. Once you follow the steps listed above to download, setup and link your bank account to your iZettle account, you will be directed to the product page to begin inputting your inventory and building your store in the app. iZettle makes it very simple to create a product listings, as you can upload the picture, product description, name and price directly from your phone. You can also add variants for each product, such as size, color and any differentiating attributes. The entire process takes a few minutes per product, so even businesses with large inventories can have their stores built within the day. After you have added your products and the store is built, you are able to begin making sales with the app. After you make your sales, you can view the history of all your transactions easily through the ‘Transaction’ screen. iZettle offers users an in-depth ‘Reporting’ feature, where you can see daily and monthly summaries of all your transactions. You can also email yourself more intensive reports, which help you understand which tradeshows, events or days were the most successful for your business. Key Takeaway: The iZettle app is easy to setup and use. Inputting products is simple for business owners and the reporting feature helps merchants identify sales trends in a well presented manner. Organized Product Library that allows you to easily upload all of your items into the online store, including a picture, description and identifying attributes. Once you have your library setup, it is extremely easy to find the products on the app when you need to make a sale, meaning that you won’t waste valuable customer time searching for a specific item. Smart Reporting that allows you to track your sales and identify customer trends and inventory performance to modify your product offerings and sales strategies depending on the report analysis. This feature helps to make smarter business decisions and increase efficiency by understanding customers’ needs and tailoring the inventory towards them. Reliable payment processing, which ensures that you will receive your money within three days of receiving a payment. You also have the ability to decide how much money you would like transfer to your account on a daily or monthly basis depending on your sales performance. Full Staff Collaboration with the ability to provide access to your entire team, so that everybody has the opportunity to log in and accept payments. Business owners are able to restrict staff members from accessing reporting and sales information. A Variety of Payment Methods that include all major credit cards, Apple and Samsung Pay, as well as alternative payment methods like PayPal Here. Travel-Sized Card Reader makes accepting payments on the go incredibly possible. The portable design of the reader means it can be taken anywhere you need to go, while the durable build ensures that it can withstand the constant transport. Fast Connection to Smartphones and Tablets so that businesses can accept payments immediately. Simply connect the card reader to your phone or tablet through the Bluetooth technology and you can be processing payments within seconds. Supported by iOS and Android so that it can be used by virtually anybody. Both have specifically designed apps for their respective OS, meaning a native user experience no matter what kind of device you are using. Powerful, Long-lasting Battery that only needs 1-2 hours charge time to provide up to 8 hours or 100 transactions use. The specially made iZettle Dock also allows businesses to charge the card reader while it rests comfortable on the professional-looking display dock. iZettle offers a wide range of supported hardware, including receipt printers, cash drawers and barcode scanners that can be integrated to enhance its offerings. All of the products are available through iZettle’s store, so you know whatever you purchase can easily be synced with the solution. Easily connected to the system using Bluetooth technology, the additional pieces of hardware are a great way to save both your time and customer time by immediately printing receipts, scanning items and keeping cash on hand. iZettle has created a dock with a built-in battery charger, allowing you to charge the iZettle card reader while the unit is professionally displayed on a counter. This means that you don’t need to worry about messy cords at your tradeshow booth and you will always have the card reader at a full charge whenever you need to make a sale. Is iZettle card reader secure? 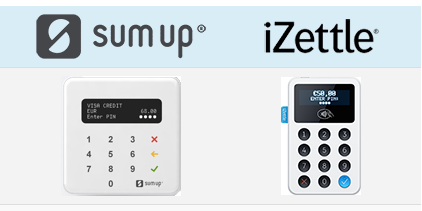 iZettle meets all the strict security requirements from the European card industry. All system development is in line with the OWASP guidelines. Moreover the system is established in a PCI certified server environment with 24-hour surveillance. Sensitive or personal data is not stored on the mobile device and data traffic is strictly encrypted. The card reader has a tamper proof design and the card terminal’s hardware and software are very meddle-proof. The reader stops working properly in case someone tries to tamper with the product illegally. iZettle is officially approved by EMV (Europay, MasterCard and Visa) and strictly adheres to the necessities of the global “Payment Card Industry Data Security Standard” (PCI DSS) for handling card data. iZettle is often regarded as one of the best companies at providing customer service in the mobile payment processing market. Customer service is available by phone during standard business hours of 9:00am and 5:00pm from Monday to Friday. Additionally, email and online support are offered at any time. If you ask your questions online, you will receive most likely an automated response. However, the responses are well crafted and provide most information that you need. If you have a more pressing query that cannot be solved by an automated response, you can easily get a response within an hour from a help agent. Their support team is friendly, professional and able to provide helpful answers to most setup and payment-related issues quite quickly. Key Takeaway: iZettle provides high quality customer support, which solves issues efficiently through both automated information and support agents for more intensive problems. Overall, iZettle Reader is an incredibly useful device for all small and medium merchants and retailers. Through our detailed analysis of iZettle and considering the cost, usability, hardware, software and customer service, we score it a 4.3 out of 5. Getting the system is a minimal investment, as only the purchase of the card reader is required. The app can be downloaded for free and with no monthly fees or obligations, businesses are safe in knowing that they only need to pay if they make sales. While the transaction fee is quite low in general, companies with higher monthly sales really benefit as the volume discount reduces the cost per transaction significantly. Both setting up and using iZettle is very easy, even for business owners without technical experience. Inputting the products is fairly simple and accepting sales only takes seconds. The in-depth reporting function and transaction history help businesses understand their optimal sales situations. Moreover, the ability to email intensive reports makes the information very accessible. With a solid customer support team and quick resolution to any problems users face, iZettle provides business owners with the confidence that they can use the system to accept payments without any major issues.